See also the export control information related to the encryption features included in Apache PDFBox. Your current mirror is http://mirrors.gigenet.com/apache/. If you encounter a problem with this mirror, please select another. If all mirrors are failing, try the *backup* mirrors at the end of the mirrors list, which should be available. Alternatively, view the complete list of mirrors. This is an incremental feature release based on the earlier `2.0.x` releases. See the Release Notes for more details. This is an incremental feature release based on the earlier `1.8.x` releases. See the Release Notes for more details. This is the first release of the JBIG2 ImageIO plugin under the umbrella of the PDFBox PMC. See the Release Notes for more details. It is essential that you verify the integrity of the downloaded files using the PGP signatures or SHA512 checksums. Please read Verifying Apache HTTP Server Releases for more information on why you should verify our releases. Previous Apache releases (starting with version `0.8.0-incubating`) are available in the release archive. Older releases (up to version `0.7.3`) published from SourceForge are still available on SourceForge Files. This distribution includes cryptographic software. The country in which you currently reside may have restrictions on the import, possession, use, and/or re-export to another country, of encryption software. BEFORE using any encryption software, please check your country's laws, regulations and policies concerning the import, possession, or use, and re-export of encryption software, to see if this is permitted. See for more information. Apache PDFBox uses the Java Cryptography Architecture (JCA) and the Bouncy Castle libraries for handling encryption in PDF documents. Copyright © 2009–2019 The Apache Software Foundation. Licensed under the Apache License, Version 2.0. 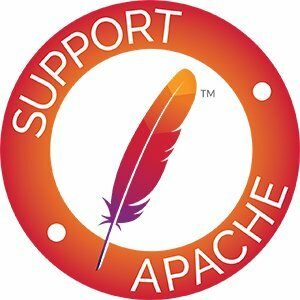 Apache PDFBox, PDFBox, Apache, the Apache feather logo and the Apache PDFBox project logos are trademarks of The Apache Software Foundation.